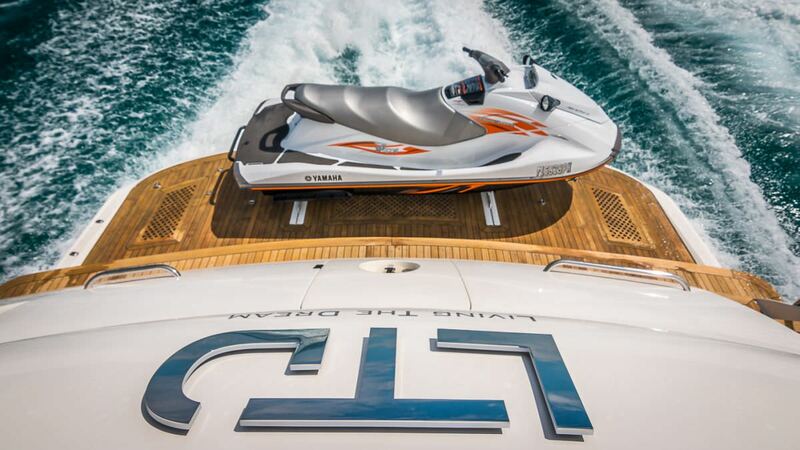 Luxury Motor Yacht LTD LIVING THE DREAM (ex REEGES DREAM) is a Lazzara 83 built and launched in 2008 and refitted in 2018. 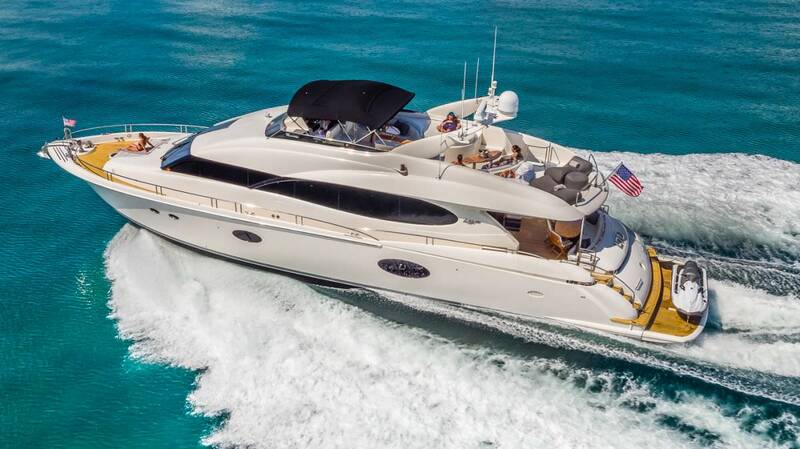 She is designed for speed and has a composite planning hull and powerful engines allowing her to cruise at 27 knots with a maximum speed of 34 knots. 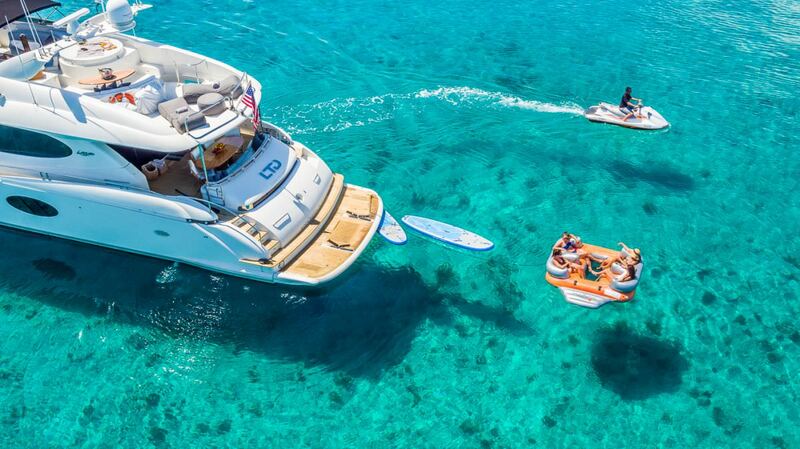 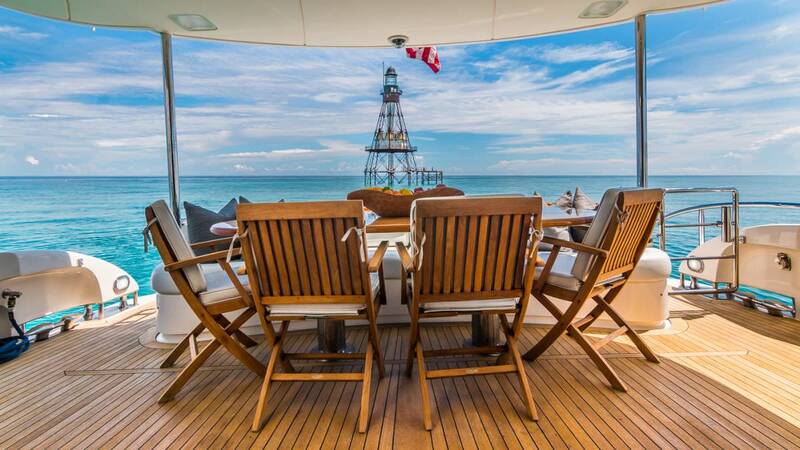 She sleeps 10 charter guests in 5 cabins and has a crew of two. 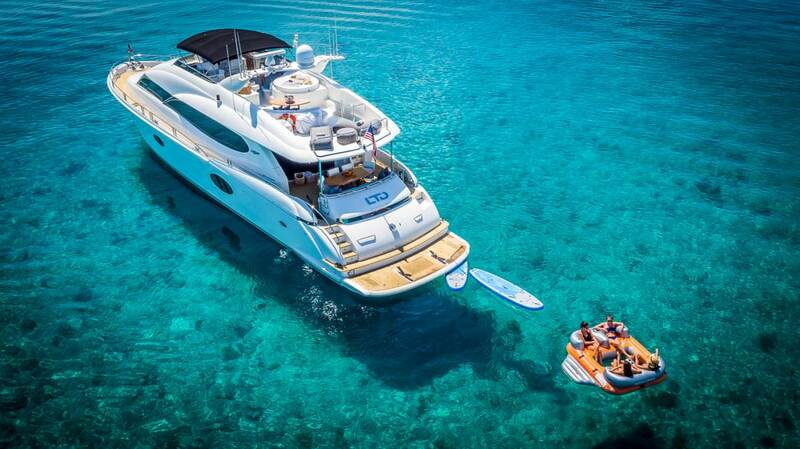 The Lazzara 83 LTD LIVING THE DREAM is the ideal small luxury cruising yacht. 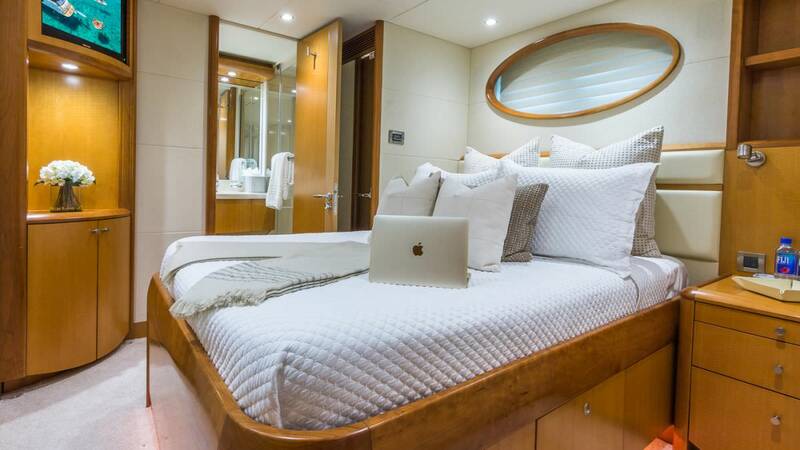 Although she is only 83ft, she boasts many features and amenities of larger luxury charter yachts including a fantastic range of water toys, many entertainment features and luxurious sheets, towels and bathroom products. 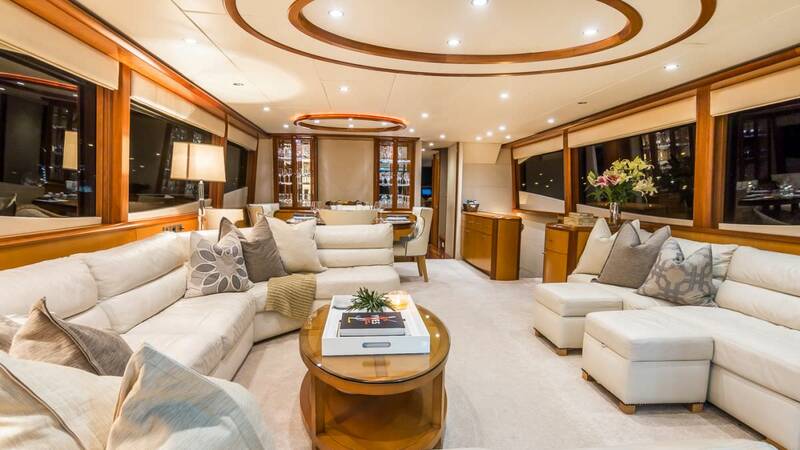 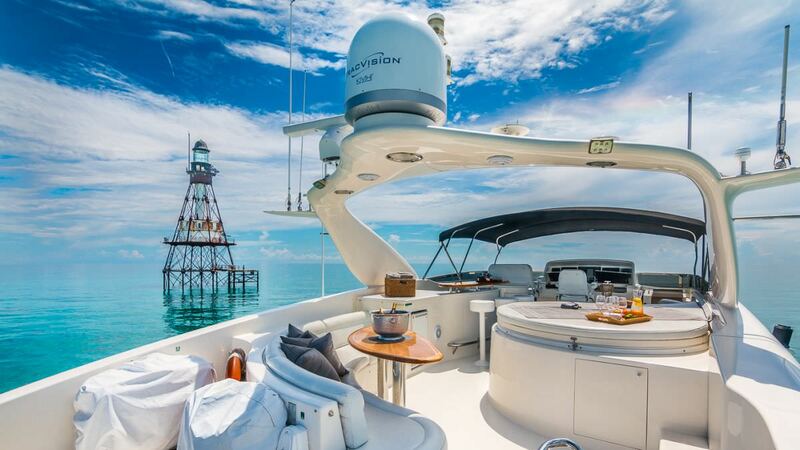 This lovely yacht has an excellent layout and fresh contemporary decor. 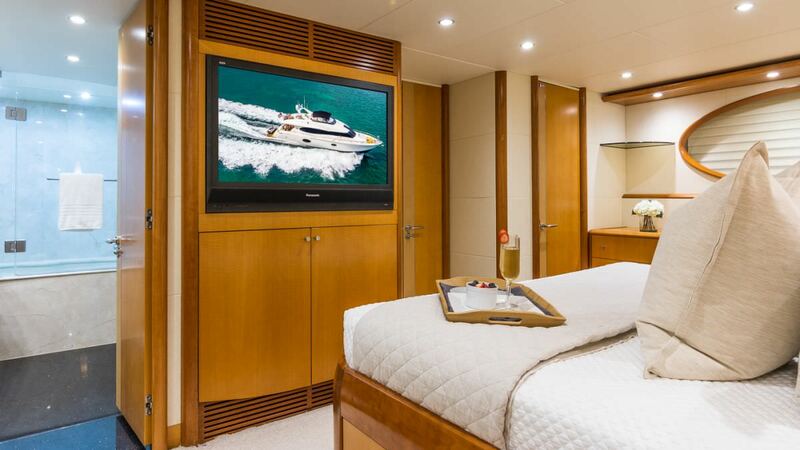 Four spacious cabins are all cabins are located on the lower deck. 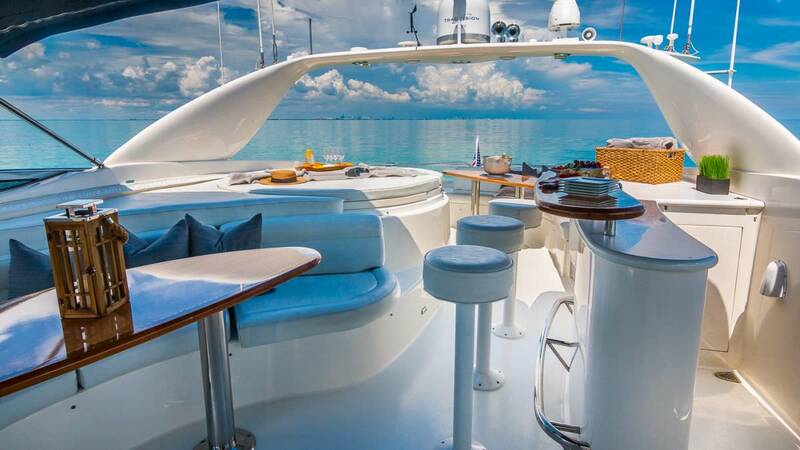 On the main deck, starting aft, this motor yacht offers a spacious deck with a shaded alfresco dining area. 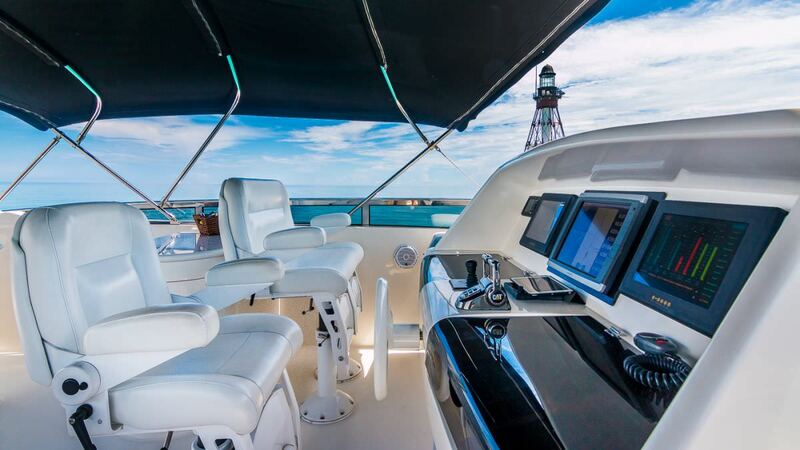 The salon on the Lazzara 83 is open style including a lounge and salon area with expansive sofas and a full entertainment system. 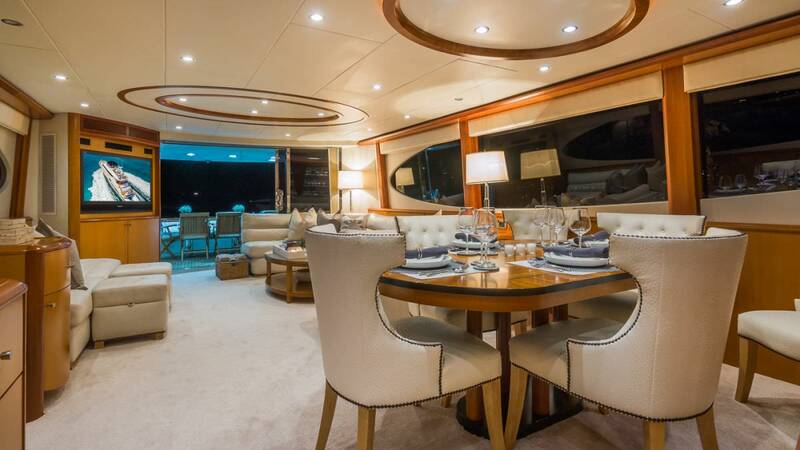 The lounge leads naturally forward to the internal dining area. 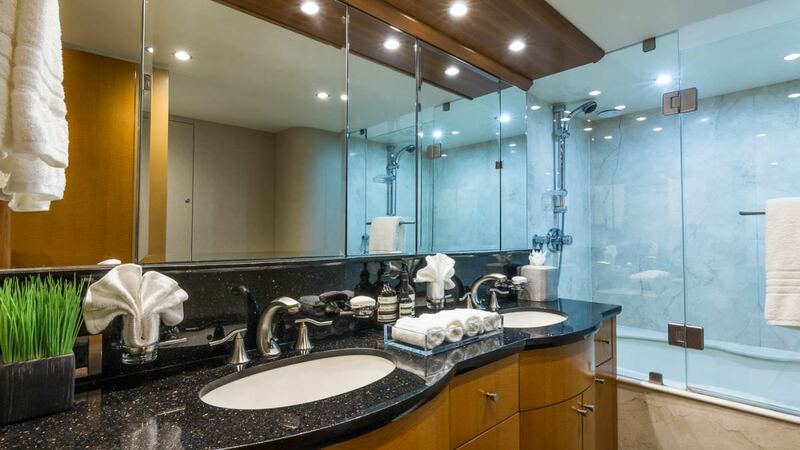 Wide panoramic window fill this area with warm natural light and provide guests with a fresh and comfortable internal relaxation area. 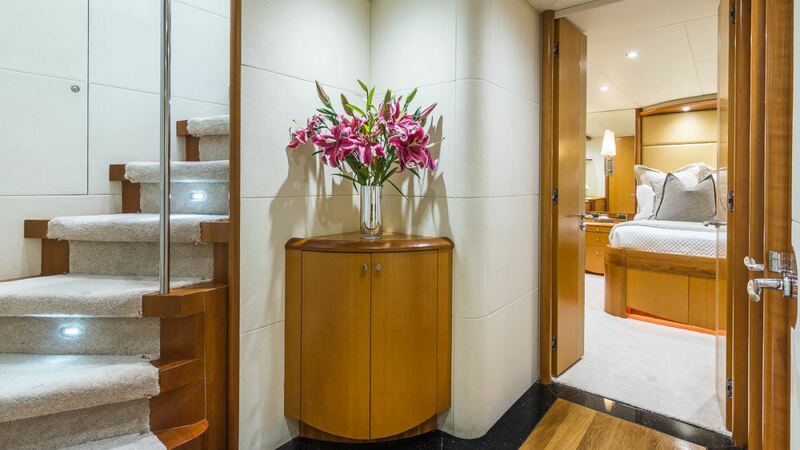 Forward of the salon is an open style country kitchen and second casual internal dining area. 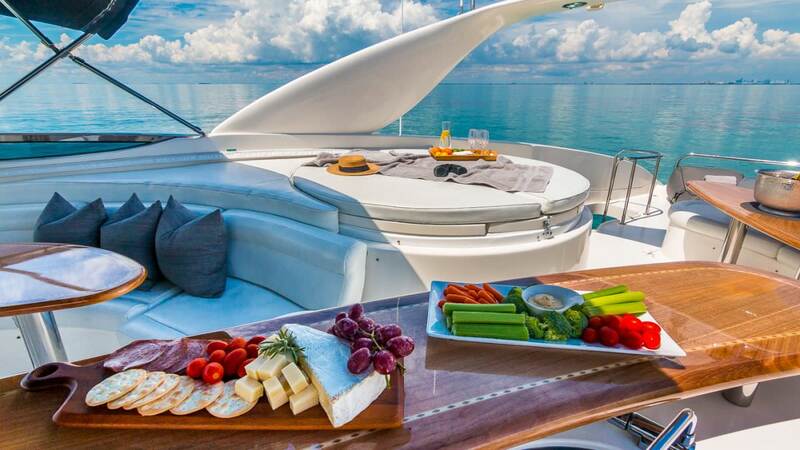 One of the most loved areas on board is the sundeck which offers two large dining tables, a bar and a deck Spa Pool. 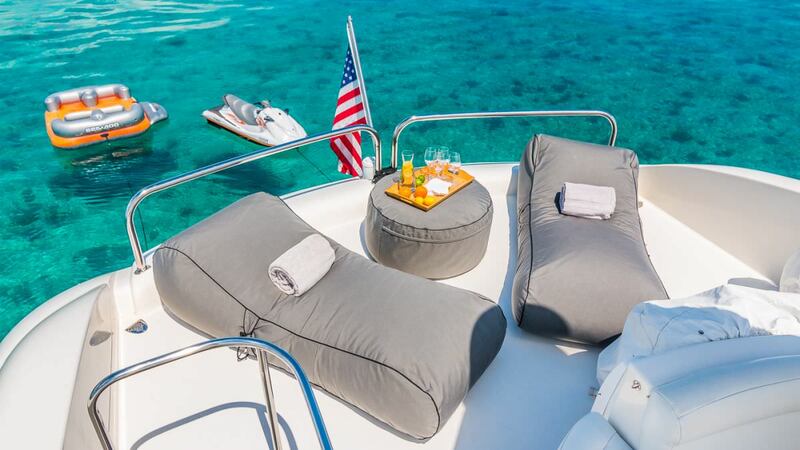 For absolute sun lovers, there is a further padded area forward of the bridge where guests can sunbathe and soak up the Mediterranean sun. 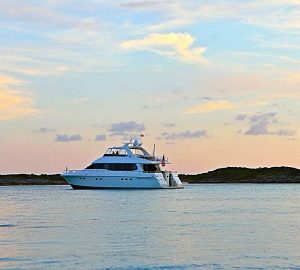 Luxury Motor Yacht LTD LIVING THE DREAM is a Lazzarra 83 and offers accommodation for 10 guests in 5 cabins. 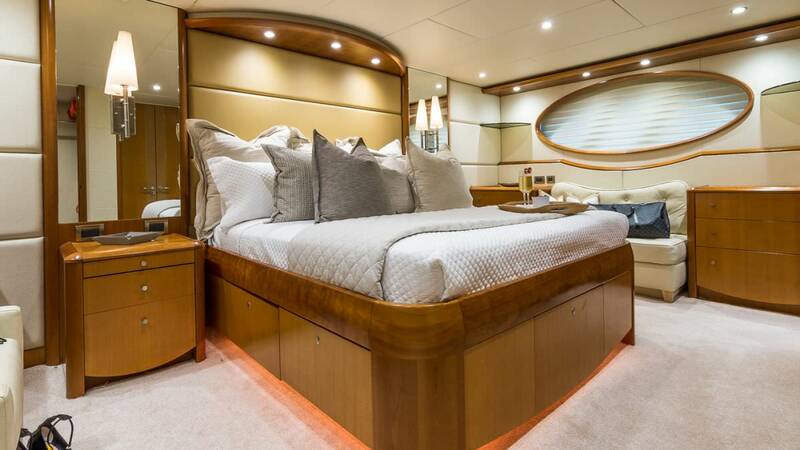 The Full Beam master suite is situated aft with ensuite head two sink vanity and shower tub. 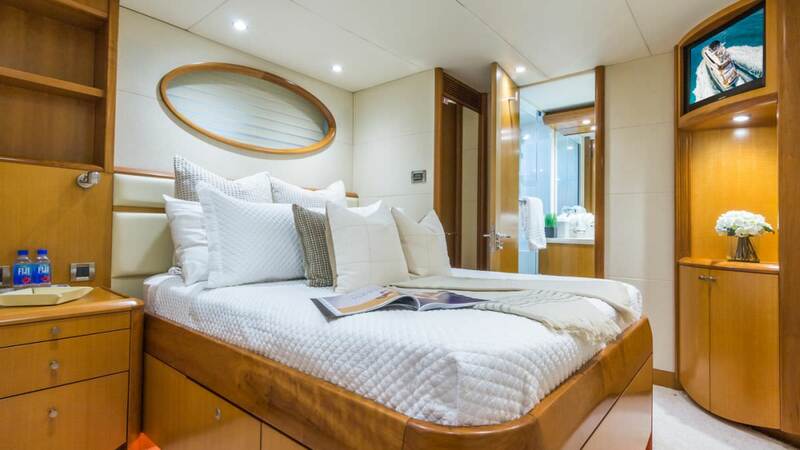 There are 2 queen staterooms midship with ensuite heads and showers, 1 double cabin forward with desk and ensuite head and shower and 1 twin cabin with 2 twin berths with ensuite head and shower.